Good Morning Everyone!!!! Hope everyone is having a great start to their day! It's a chilly one here; stay warm everyone! I wanted to get this review up on here for everyone that has requested it. I have been asked to review this Bible. The opinions are my own; I am not required to give a positive review. I must say that when I first received this in the mail I wasn't sure how to get into it to read and study. I know; just open and read. This is typical of some, but I wanted to see more. I wanted to look at the layout of the Bible see how it was written for the reader. I wanted to see if this was easy to follow where it was going. I found it difficult to find a certain passage that I was looking for, but then found the index at the end. I feel that this is good for a resource for a Pastor for sermon or a lesson preparation. I would say this is great for reading the Bible and understanding how the events in the Bible weave together. Another point that I enjoyed was the timeline that was running along the bottom of the pages so you knew exactly where you were in time. The more that I got into reading this Bible I found that I really enjoyed it and was easy to read through and understand. I will continue to read this one and my other Bible. 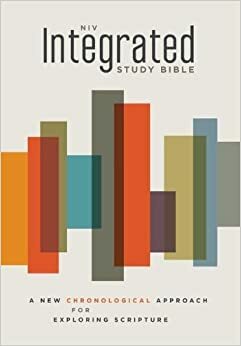 I wanted to thank BookSneeze for providing me with this Bible for review! Thank you BookSneeze!